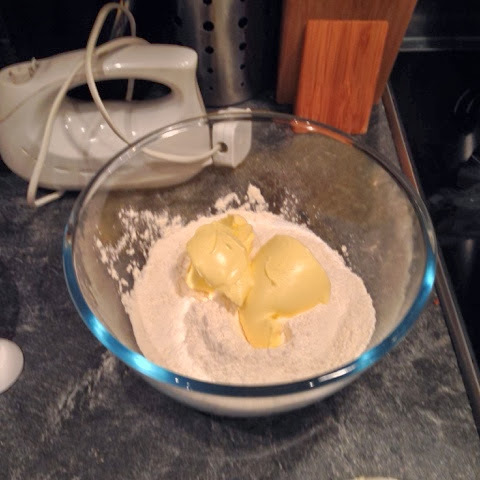 The recipe I used for the cake balls couldn't be simpler, 115g of butter (or margarine), sugar and self-raising flour and three eggs. ... and beat until light and creamy. My mother would kill me for using the all-in-one method, but I can't do it any other way. 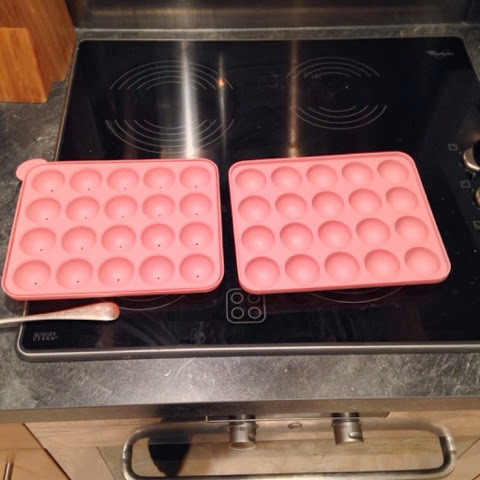 Here's the nifty bit of kit I received for Christmas - a silicone cake ball mold! 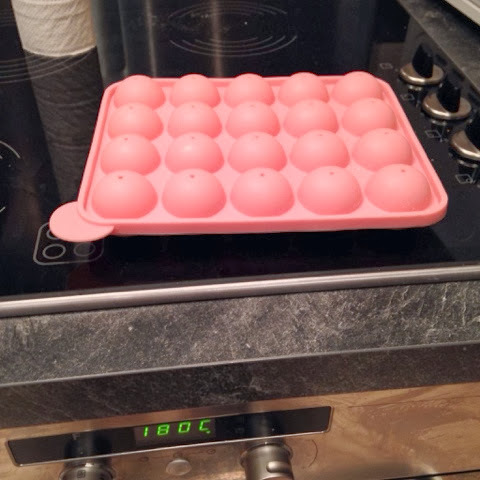 The first time I used this gadget, I only half filled the holes and ended up with too-small cake balls, so this time I really went for it. 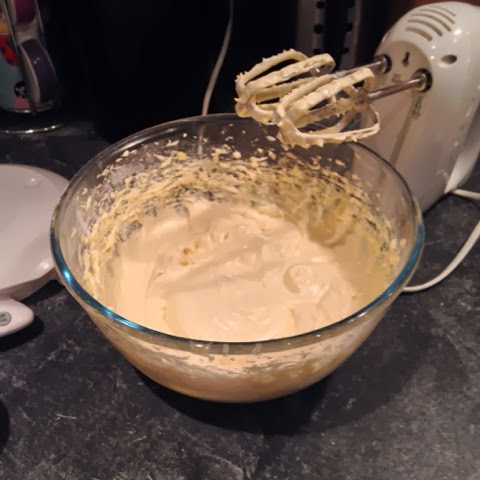 Occurred to me afterwards that I should have used a piping bag to make it less messy. Lid on and ready to go in the oven - 180 degrees C for about 25 - or until it smells good and cakey. Here they are! 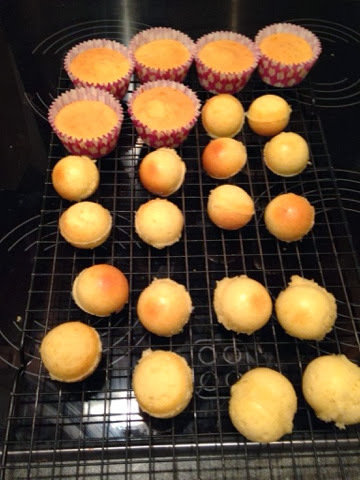 Plus some bonus cupcakes with the extra mix. 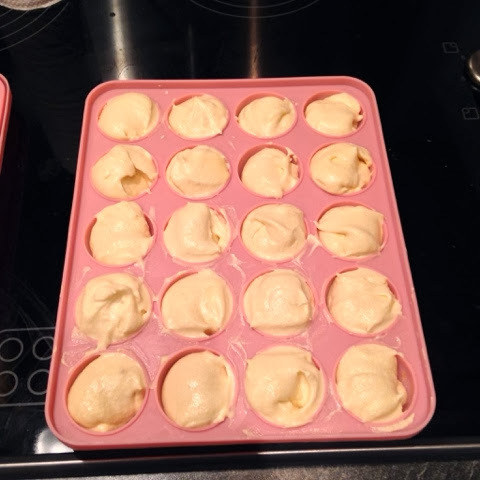 Some came out a bit like rugby balls, I may have over done it with the mix. But mostly spherical! 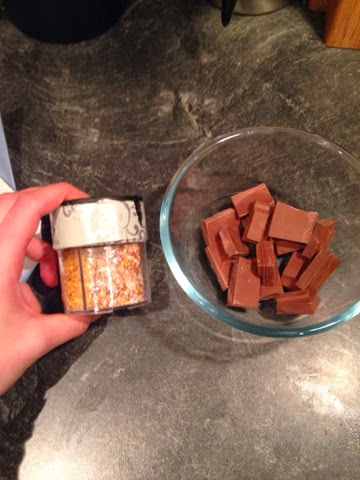 Final step, melt a load of cooking chocolate and ready the sprinkle shaker. 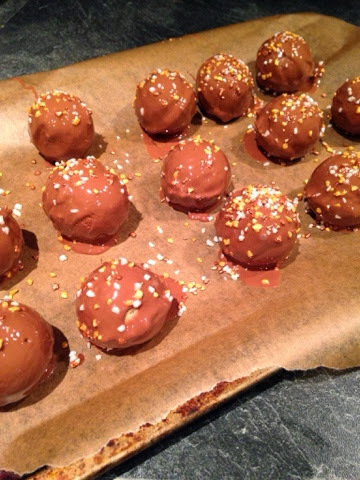 I used two teaspoons to dip each cake ball in the melted chocolate. The glitter sugar not only looks pretty but adds a satisfying crunch when you bite into them. Crunchy on the outside, soft and cakey on the inside. They didn't last very long! 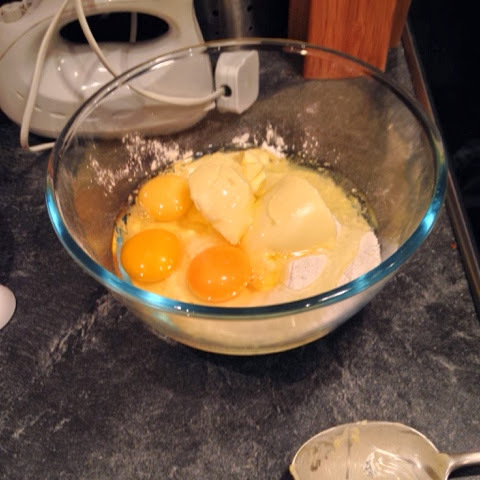 Come back next week when I'll be making Mexican eggs for the breakfast theme. They look brill. 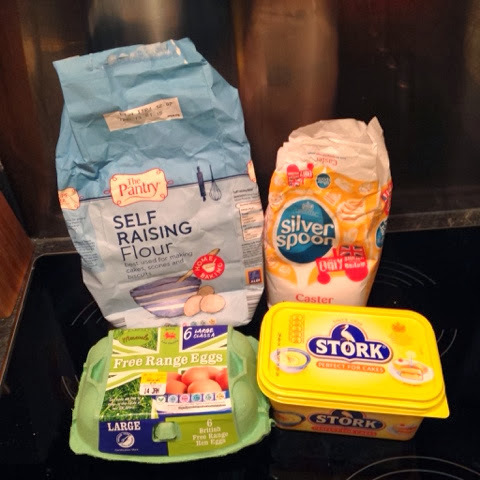 Actually, your mother has embraced the 'all in one' method for some years now, ever since Delia Smith gave it her approval! Ah, well if St Delia does it, it must be alright!